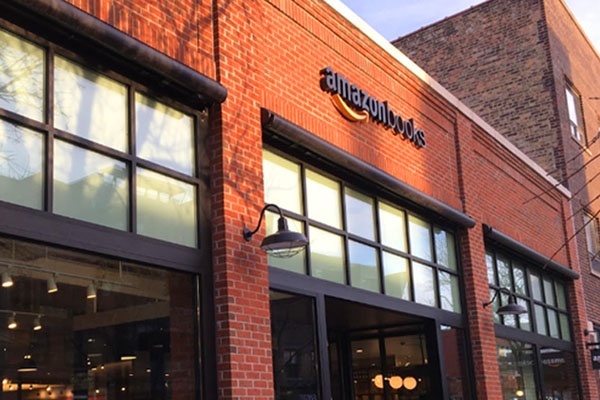 Last week, Amazon opened a brick-and-mortar bookstore on Chicago’s north side. It was the fifth such store Amazon has opened in the U.S., and the first one that is outside of a shopping mall. Obviously, this is news in part because the online giant is setting up shops in the real world. But there’s something more significant at work here, and shippers should take note. What makes Amazon’s book store different is how they are leveraging the data they have from their online sales. Instead of filling the store with tons of books and featuring piles of shiny new releases at the entrance, this store will carry only the books that are most likely to sell based on customer ratings and preferences. Consider the advantage of that business intelligence. Their warehouse full of data allows Amazon to waste no space, time, or money. Only the books most likely to be sold are shipped and stocked. This means they’ve streamlined not only their inventory, but their supply chain processes as well. Are you leveraging data to streamline your supply chain processes? Do you even have good data to leverage? It starts with proper freight audit and payment. If you aren’t doing that correctly, you won’t have accurate, actionable data. Most companies can’t handle freight audit and payment themselves, so you need to find the right partner. There are a number of things to look for in a freight audit and payment provider, but a couple of major items to look for include financial stability and the ability to understand your entire supply chain. If you have a partner that merely pays your bills, but doesn’t see the big picture for your organization, they can’t deliver full value. They won’t understand how to apply your data strategically to drive savings to your bottom line, and it’s likely they aren’t even capturing the right pieces of information. If you currently have a freight audit and payment provider, but they are not engaged enough in your business to deliver valuable insights into your processes, you have the wrong partner. Hint: If they are processing your bills, but not calling you to talk about insights they’ve uncovered, you have a partner who is not engaged. Take the first step into leveraging data to sharpen your supply chain the way successful companies like Amazon have—give us a call or send us an e-mail. We are happy to share more about how we have helped other companies improve their supply chain by gathering and analyzing their freight data, followed up by the tools to sustain their savings.